Credit card companies cancel credit cards that aren't in use because such accounts are seen as a potential risk. Reopening accounts that companies close can require multiple attempts. A credit card company will view your request more favorably if you already have other card accounts with it in good standing. Contact the credit card company to find out exactly why your credit card was cancelled due to inactivity. Do this as quickly as possible after receiving notice of the account closure. 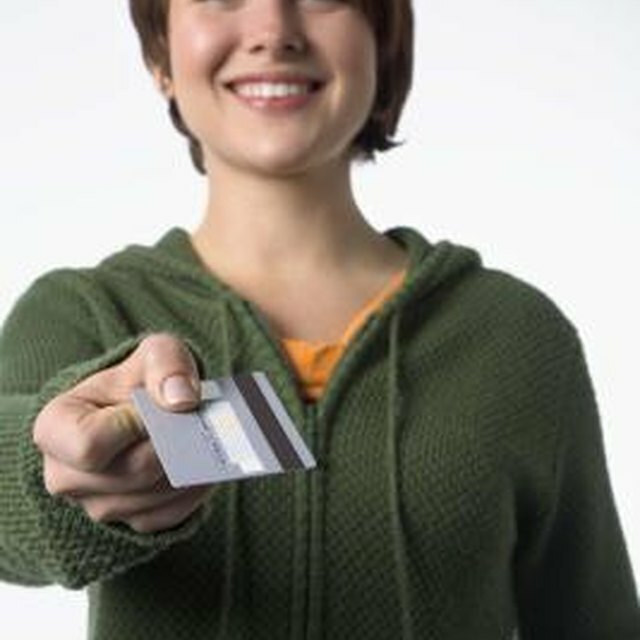 If your credit rating is otherwise strong, the company may be willing to reopen your credit card. If you hold many accounts that have late or delinquent payments, the company will be much less likely to comply with your request. Ask the customer service department if there is anything you can do to encourage the card company to reopen the account. In most cases, the company will agree to reopen your account if you sign an agreement saying you'll make a minimum number of purchases with the card over the next 12 months. Follow the agreement to preserve your account. So long as you are using the card, the company is less likely to close your account. If you maintain an account balance of at least $1, the company will be unable to close your account unless you become delinquent on payments. How Long Until a Credit Card Cancellation Shows Up on a Credit Report? Consider assigning automatic bill payments to most of your inactive credit cards to ensure they remain sufficiently active so the companies don't close them. Credit card companies regularly review their customers' credit reports to determine their credit utilization rate. This is the rate at which a customer has utilized available credit. Customers with a low credit utilization rate are typically considered low credit risks, but there is the possibility that the customer may make full use of his credit line rapidly. Such a dramatic change in someone's financial behavior is considered a greater risk for lenders. Consumerist.com: HSBC Canceled My Card Due to Inactivity and Ruined My FICO Score!